Get a sense of the local culture at Centro Historico and Open Air Marine Turtle Museum. Relax by the water at Praia do Cachadaco and Prumirim Beach. 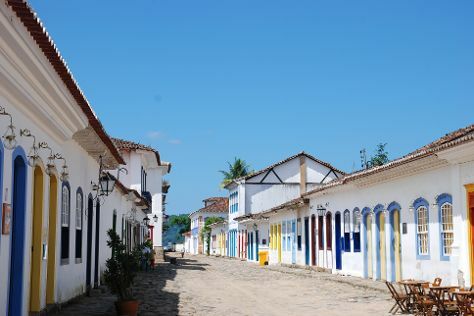 Get out of town with these interesting Ubatuba side-trips: Maresias Beach (in Maresias), Saco do Mamangua Beach (in Paraty) and Taubate (Anderson Fabiano Plastic Arts Museum & Museu Mazzaropi). There's more to do: kick back and relax at Domingas Dias Beach. For traveler tips, ratings, photos, and other tourist information, read our Ubatuba day trip planner. Wrap up your sightseeing on the 5th (Tue) to allow time to travel back home.